I haven’t yet read Thomas Hardy’s Far From the Madding Crowd, so I’ll be reviewing this from the point of view of someone who hasn’t read it. However, I have read Tess of the D’Urbervilles, which is probably my favourite classic. 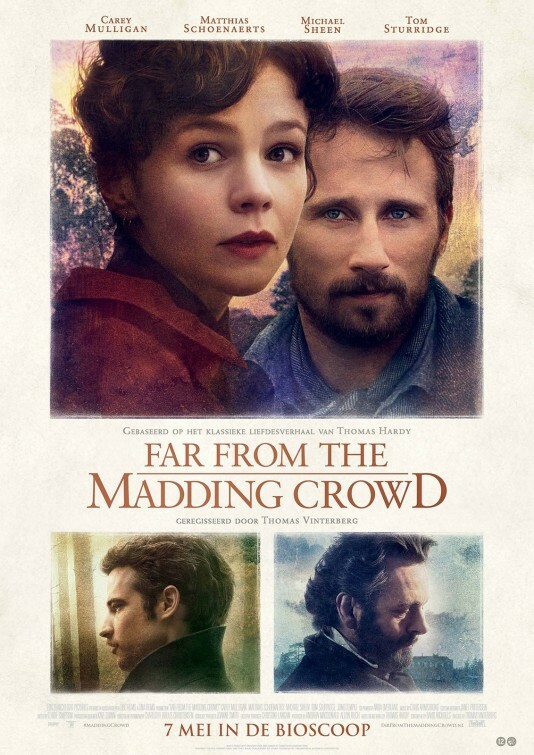 There is something about Hardy’s work that I just love, and having seen this film it’s made me want to read more of his books, including Far From the Madding Crowd. Anyway, back to the film. Carey Mulligan plays Bathsheba Everdeen (yes, every time someone said ‘Everdeen’ in the film Katniss popped into my head), an independent woman who gains an increase in her social status after inheriting her uncle’s farm. Being very independent, she comes across an inner conflict when three men begin courting her (don’t worry, it isn’t a pathetic love triangle or anything). I don’t really have anything to criticise about this film because I absolutely loved it! It held my attention from start to finish and there were some surprises along the way. Typically of Hardy’s stories it is very realistic and less flouncy than other period dramas like Jane Austen, so don’t go in expecting Pride and Prejudice, this is a very different style. The filming was excellent and I felt immersed in the atmosphere of the film. In terms of the acting I thought it was excellent. All of the actors did amazing jobs and none of them were weak. Carey Mulligan did a great job in the strong female lead, presenting the character’s few vulnerable moments as well as the headstrong moments. Each of the ‘love interests’ were well acted and every one of them is fleshed out and have their own character arcs, rather than just serving as the ‘love interest’ as in many romantic films. It goes without saying that I love the plot. There’s lots going on and unlike many period dramas which are often quite slow there always seemed to be something happening in this film. There isn’t much else for me to say because I absolutely adored it and will definitely be buying the DVD when it comes out and reading the book too! Sarah Perlmutter is an English teacher from Pennsylvania who has self-published her Young Adult apocalyptic novel The Blast. It follows the story of Beatrice and her family as they fight to survive in the aftermath of a nuclear apocalypse, exploring themes of moral choices and humanity. The novel has been very well received and its current highest rank on Amazon is #26 in YA Dystopian! Sarah agreed to answer some questions about her novel and her self-publishing experience. Why did you choose to write a story set during and after the apocalypse? I’ve always been interested in human nature, and what better way to test it than to put people in extreme survival situations? I also really enjoy the science fiction genre, especially post-apocalyptic and dystopian stories, so I wanted to contribute to that genre of YA literature with my own take on the world’s end. The Blast is fairly short, did you consciously choose for it to be a short novel or did it just turn out that way? I did consciously choose for it to be a shorter novel, because I wrote it to be a companion piece or prequel for the trilogy I’ve been working on for a couple of years now. I meant for it to only be a novella, but at its current word count and length it’s straddling the line between novella and novel. Once I started writing, I had more to say than I initially anticipated I would. How did you build the cast of characters for The Blast? I built the cast of characters based on characters in my trilogy. I knew Beatrice, Eleanor, and their parents had to be in The Blast, but some of the other characters I added to help explain who they became as adults, like Henry and the Smiths. Characters like Jacob and Mr. Timmons were included to help explore themes in the novel, while characters like Drew helped me to flesh out the community within which Bea and Eleanor grow up and later raise their children. The Blast is a prequel to your Deathless trilogy. Which idea did you come up with and write first? I came up with the idea for the Deathless trilogy first, and then halfway through the second book, I realized that I didn’t know nearly enough about Beatrice or what happened before the trilogy begins. I began writing The Blast as an exploration into Bea’s character and as a way to bring the entire world to life for myself. The trilogy now exists in a world that is much more believable and complete than it did before I wrote The Blast. What made you decide to take the self-publishing route? I sent out maybe 5 queries for the first book of the trilogy when it was not in the proper shape to be published, and, not surprisingly, received 5 rejections. I began researching self-publishing then, and learned that it can actually be a viable route for publishing these days. I wanted to test out the waters of self-publishing as an alternate option, and after receiving positive feedback on The Blast from readers on Wattpad, I decided that would be the perfect book with which to test self-publishing. I’m glad I did, because now I feel like I have a better handle of the whole industry. What do you think the pros and cons of self-publishing are? The huge pro of self-publishing is how much creative freedom you have. The book is exactly as you want it, as is the cover and all other materials for it. However, as a self-publisher, you really need to be ready to invest serious time and money into your project. Good cover designers and editors cost money, as does professional formatters for your manuscript. That’s the con of self-publishing: Because you are in control of everything, it requires much more work to get your book into reader’s hands. A lot of writers just want to write, but when self-publishing, you must also be your own editor, production manager, designer, marketing professional, advocate, and internet personality. Has self-publishing been a positive experience? So far I have really enjoyed my experience with self-publishing! I have learned so much more about the industry than I would have if I kept querying, and I love experimenting with different marketing platforms for The Blast; however, I will still try my luck at traditional publishing for the trilogy and for any future projects. If it doesn’t work out with traditional publishing though, I’d be happy to self-publish again. Do you have any advice for writers hoping to be published? Write! Write so much that it becomes an obsession. Write books, stories, plays, and poems of all genres. The more you write, the more pieces you have to choose from for submission calls, and the more likely one of your pieces will be chosen. Have fun with the submission process, and find a new way to view rejection. Rejection shows you’re living your dream, because every single writer you’ve ever heard of was rejected just as much as you. And if you like the idea of self-publishing, do it. Don’t wait. Get your manuscript ready, and do it. -Are you an organised or messy planner? I am a messy planner masquerading as an organized one. I always have a plan, but it will be in 15 different notebooks, in the notes on my phone, on my Pinterest boards, and in my mind. -Favourite character from The Blast? I have to say Bea. When I finished writing The Blast, I really felt homesick for her perspective. But I also love Ellie. I didn’t think I would, but by the end of the book, she was one of my favorite characters to give dialogue. I love her voice. -Would you survive the apocalypse? Not likely. My husband and I are not at all prepared like Bea’s family was, and I’ve never even held a gun. -What would be your weapon of choice – force or diplomacy? Diplomacy for sure. I’m a teacher by day, so I feel like diplomacy is second nature to me. Force, not so much. 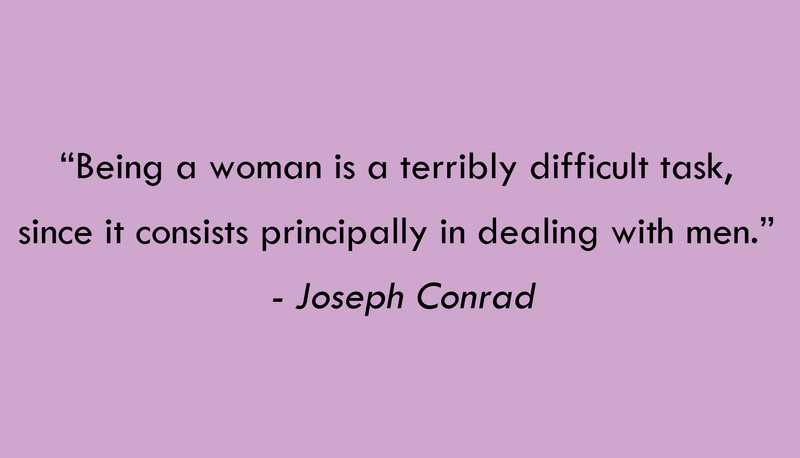 So difficult! It’s a four-way tie between Catching Fire by Suzanne Collins, The Giver by Lois Lowry, Leaves of Grass by Walt Whitman, and Song of Solomon by Toni Morrison. My gut’s telling me to go with Forgetting Sarah Marshall. Oh man, even more difficult! I love so many characters for so many different reasons! Right now, because I recently finished reading All the Bright Places by Jennifer Niven, I really enjoy Finch’s character. The Blast is available NOW to purchase on Amazon for Kindle and in paperback. You can read my review of the book here! I’m excited to be participating in the cover reveal for Mariella Hunt’s Dissonance today! Mariella Hunt is a writer with a strong love for coffee and guinea pigs. She likes using big words in everyday speech, and keeps journals of quotes from the greats. Most days you’ll find her on a well-loved armchair, reading–or working on one of her many projects. As she cannot stick to an outline, she rewrites way too much. Dissonance will be available to purchase soon! Lise is thin, neither good-looking nor bad-looking. One day she walks out of her office, acquires a gaudy new outfit, adopts a girlier tone of voice, and heads to the airport to fly south. On the plane she takes a seat between two men. One is delighted with her company, the other is deeply perturbed. So begins an unnerving journey into the darker recesses of human nature. It is important firstly to say that this isn’t a book that everyone will like. Being written in 1970 it is in many ways very different to the books we commonly find on our shelves now. It is short, more of a novella than a novel, and for fast readers you could probably get through it in one sitting (assuming of course that you found it engaging enough to do so). It tells the story of Lise, an eccentric girl who goes on holiday and whom we are told (very near the start of the book so this isn’t a spoiler) that she will be founded murdered by the end of the day. We spend the rest of the novel following her around wondering who the murderer will be. I felt no attachment to Lise. Really and truly we know hardly anything about her. The narrative is written in a way that we are very detached, almost like reading a police report or looking in from the outside. In a day and age when we like to be ‘connected’ to the protagonist this can feel like a very odd experience. Being so sort there is little plot, basically just a ‘who murdered her?’. In a way it is intriguing, though also baffling because much of it is confusing and seems illogical. However, the end is a good plot twist which I wasn’t expecting and which made me look at what I had read in an entirely different light to how I had done while reading up to that point. It is certainly not a book for everyone. At the end you are left with numerous unanswered questions and frankly feeling rather confused about the whole affair. But, being so short at least if you didn’t like it, it wasn’t too much of your time wasted. I’m kind of late posting this review. It’s taken me a while to get around to it and then I thought I’d posted it but obviously I didn’t. And now the film isn’t in cinemas anymore. Oh well. Tris, Four and their friends are now on the run from the leader of Eriudite, Jeanine, who is hunting down the Divergents. They discover that Tris’ parents died because they were protecting something, a piece of information that has been kept secret, which will reveal the real past of the Faction system. As someone who has read the books I can say that the first half is fairly accurate to the book, with some minor details missing, but as with the first film the ending is quite different. What they added though wasn’t necessarily bad. It still kind of made sense. If you haven’t read the books though then you will enjoy it. Once again there’s a lot of snazzy CGI and action scenes going on. But what I like about the way they’ve done the films for this series is that in including all the snazziness they haven’t sacrificed the emotional element and the character development. Once again the acting is great. Shailene Woodley’s performance of a broken Tris was excellent, she really shined in this one, presenting Tris’ inner conflicts really well. The rest of the actors also did great jobs, though I’m still questioning the casting of Evelyn as almost everybody else who read the books has. The very end, what happens after all the action, is very different from the end of the book, so I’m wondering where they’re going with it. As the last book was so awful I’m expecting they’ll change it quite a bit, so maybe altering the ending of the second one is leading into that. We’ll just have to wait and see. If you haven’t read the books it is great! If you have, you will notice many differences and lack of development of characters such as Marlene which was a shame, but it is still a good adaption and worth watching.